Do you have bats in your attic? Call TSWM today! Do you have bats in your attic? For bat removal in Covington KY or anywhere in Northern Kentucky, Cincinnati, or Southeast Indiana, call TSWM today! Bat Removal Covington KY: Having bats in your home is an unsettling and serious problem, even if they are confined to the attic. Not only do they urinate and defecate anywhere they roost, causing staining and odor problems which are difficult to remove, they are associated with diseases which are dangerous to humans, including rabies and histoplasmosis (a lung disease caused by the spores of fungus which grow on their droppings or guano). TSWM can take care of your bat problem and make life normal again for you and your family. While bats are very beneficial to humans because of their affinity for many flying insects, such as mosquitoes, if they find their way into your home and take up residence, they can also be some of the most destructive, dangerous, and expensive wildlife to control. Since bats are a protected species, removal should be done by a trained professional. In addition, we perform repairs and/or restorations to your home or business to prevent re-entry. TSWM also offers partial and full attic cleanups after bat exclusion. 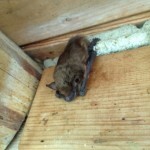 Posted in Bats, Uncategorized | Comments Off on Do you have bats in your attic? Call TSWM today! Do you have bats in your attic? Call Tri-State Wildlife Management to remove and exclude bats from your home! Put our experience and expertise to work for you! Like every fall, Tri-State Wildlife Management (TSWM) is busy with bat work, including bat inspections and bat exclusion. Now is the perfect time to take care of any bat problem you may have before bats begin hibernating in your attic. Once bats begin hibernating, their main entry/exit points cannot be sealed in order to prevent them being trapped in your attic. If trapped in your attic, they will eventually die, causing a severe odor. In addition, it is unethical, as they are federally protected and useful as insect predators. Preliminary bat work involves sealing and repairing all at-risk areas of a home or structure, even if bats are not currently using them as entry and exit points because they are areas susceptible to bat entry. Once bats are excluded from their entry and exit points, they will attempt to gain access to the structure by other means. 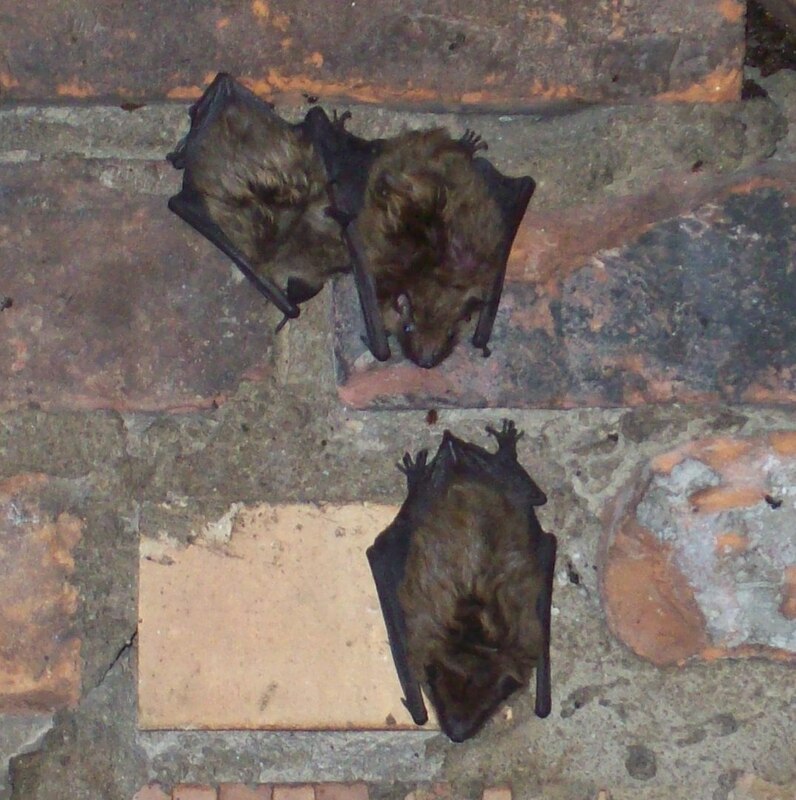 TSWM seals all vulnerable areas to prevent bats from gaining access through other areas of the home. A classic example of this occurred at a condominium complex in the Cincinnati area. 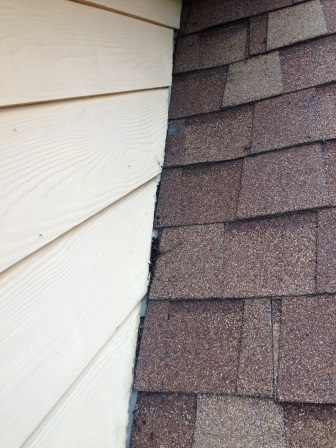 TSWM was called by the homeowners association in 2013 to resolve a bat issue. The association was unwilling to seal and repair every portion of every building. They requested that TWSM exclude bats from their main entries on only some units on 2 separate buildings and seal at-risk areas on these units only. The association did not want to complete an inspection on the other units, although TSWM assumed bat entry or potential bat entry. After plenty of counsel attempting to educate the board members of the condo association, TSWM agreed to do the work, but without a guarantee, and stressed the inevitability of bats entering other portions of the buildings and other nearby buildings. As expected, the homeowner’s association called a few months later saying that other residents were now experiencing bat problems; including bat bugs within the living space of some units. TSWM completed an inspection on the requested units and found evidence of bat entry. TSWM completed all preliminary sealing around the units, but had to wait until the spring to fully exclude bats. In the meantime, TSWM received another call asking for an inspection on a third building within the same complex. As expected, bat entry was found. A bat problem that should have been resolved in a month or less ended up taking 9+ months. In addition, the expense was significantly more than what it should have been if it had all be resolved at one time. Tri-State Wildlife Management is fully licensed and insured, and we stand behind all our work. For an experienced and professional bat removal company in Covington KY, call Tri-State Wildlife Management at (859) 635-0037. Rid your attic of bats before cold weather sets in and it’s too late! Call the preferred bat removal company of Northern Kentucky, Tri-State Wildlife Management, at (859) 635-0037. Now is a great time of year for bat removal in Northern Kentucky. TSWM is fully licensed and insured, and we stand behind our work. Put our experience and expertise to work for you! Early fall is a busy time for Tri-State Wildlife Management (TSWM), as we continue to remove bats from homes and make repairs to exclude them for good! Resolving a bat issue in a home or structure is time sensitive work. TSWM does not remove bats by trapping them; instead, our techniques allow bats to exit your attic while prohibiting reentry. By the time all bats have left your attic, TSWM finishes sealing up your home to prevent bat access. In order to make your entire home as bat-deterrent as possible, TSWM must finish all sealing before cold weather sets in. Once bats begin hibernating in your attic this winter, final repair work must be put on hold until spring when hibernation has ended. Of course it is best to complete the exclusion process now so bats cannot use your attic as their hibernating roost site. In the past, our most common bat in the northern Kentucky area was the little brown bat, some of which migrate to warmer climates for the winter. Instead of entering a true hibernation state, they may leave their roost on warmer nights to hunt insects that may also take advantage of the warmer weather. Due to a devastating disease plaguing bats, called white nose syndrome, most of our little brown bats have died. The most common bat species in our area now is the big brown bat, which typically winters over in its maternal roost site. This is important for two reasons; first, we must assume that bats are in your attic during the winter rather than migrating elsewhere (or else we would not have to wait until hibernating season is over before fully sealing your home); second, if bats have had access to your home for years, then their numbers have multiplied each year. Resolving a bat issue in a home or structure is tedious work. As mentioned above, bats prefer to return to their maternal roost site year after year. If their main entry(s) is repaired to prevent future access, they will find other openings. Even if no other opening is readily available, they may take advantage of vulnerable areas of your home and gain access. Oftentimes, they wind up in the living area of a home if their main entry is sealed. TWSM not only repairs current bat entries, but we also complete a thorough inspection of your home, identifying at risk areas. These vulnerable areas are also sealed and repaired, in order to make your home as bat deterrent as possible. For a professional, ethical, and effective bat removal service company, call Tri-State Wildlife Management at (859) 635-0037. Tri-State Wildlife Management is fully licensed and insured, and we stand behind all our work. There are over 900 species of bats around the world with the majority of them residing in the tropics. Bats are second only to rodents in numbers among mammals and comprise almost one-fourth of all mammal species. Northern Kentucky is home to only a fraction of these bats, with the most common being the big brown bat. Due to white-nose syndrome, the little brown bat population has depleted drastically. Although it used to be the most common bat in North America, the little brown bat “is being considered for protection under the US Endangered Species Act”. In the northern Kentucky area, big brown bats are now most prevalent. Unlike little brown bats, big brown bats usually winter over in their roost. 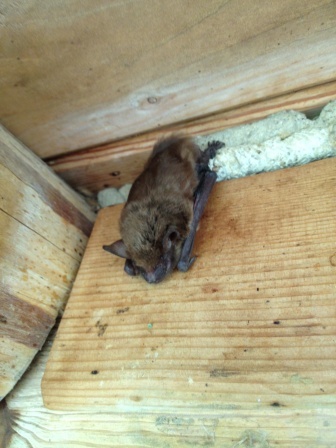 As it happens, attics of homes and buildings are a very common roost and hibernation site for big brown bats. Disease A small percentage of bats will contract rabies, and an even smaller percentage will come in contact with humans or pets. With that said, it is always wise to practice common sense and use caution around them and avoid direct contact, as well as ensure that your pets are properly vaccinated. 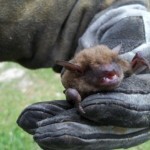 Bat bites and other physical contact may go undetected by individuals who are asleep, children or pets. Damage and Damage Identification Late summer / early autumn is a perfect time of year for Tri-State Wildlife Management (TSWM) to exclude bats, repair damages, and prevent re-entry on homes and other structures. During the winter months, TSWM is only able to compelte preliminary bat exclusion work. This is to ensure bats are able to exit their roost site (your attic) in the spring. Once the weather warms up again, bats once again leave their roost site to hunt, and TSWM can complete the bat exclusion process. Bats become a nuisance when they roost in large numbers in houses and businesses. Despite their usefulness, discovering or even suspecting bats living in your home or business is unsettling. 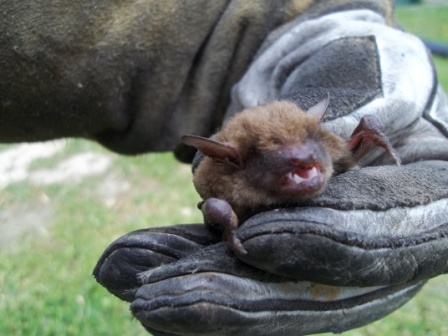 Two common bat problems in the Greater Cincinnati Northern Kentucky area include a solitary bat accidentally entering the living space of a structure and bats roosting in the attics or chimneys of homes or building. Signs that bats may be living in a structure include seeing bats going in/out of the building, and the presence of bat droppings (guano). Do you have a bat problem in your attic? TSWM will permanently exclude bats from your home. Put our experience and expertise to work for you! Serving the Greater Cincinnati / Northern Kentucky Area.